Australian Aborigines have long spoken of a frightening legendary creature they call a bunyip. They say the huge creature inhabits reedy swamps and creeks in parts of Australia. Its howl at night, and the stories of its abducting people and killing animals, have been enough to strike terror. Newspaper sketch (1991) based on the descripton in 1845 of a bunyip seen at Barwon Lakes. In the early days of settlement in Geelong, Victoria (Australia) in the mid-1800s, reports of the alleged discovery of bunyip bones sparked panic among the settlers. The Geelong Advertiser newspaper reported in July 1845 that one of the bones found was shown to an Aboriginal who immediately claimed it was a bunyip bone. He was asked to draw the ‘bunyip’. The picture was taken to other Aborigines who had had no chance to communicate with each other, and each of them claimed independently that the bone and picture were of a bunyip. The newspaper reported a number of alleged sightings of the bunyip. The description was of a creature that somewhat resembled an alligator and a bird. It stood about four metres (12 or 13 feet) high. The hind legs were said to be thick and strong, with the forelegs longer. It had long claws. In water it swam like a frog; on land it walked on its hind legs with its head erect. It was covered with different coloured scales, and laid pale blue eggs double the size of an emu’s egg. Its snout was like a duck’s bill. 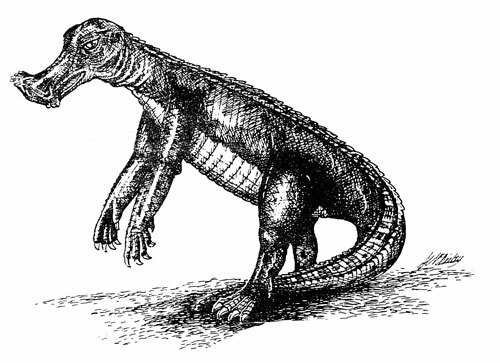 We do not claim to explain this creature, but a drawing from the newspaper at the time, which was reprinted in the Geelong Advertiser on April 27, 1991, bears a strong resemblance to what are today known as duck-billed dinosaurs. 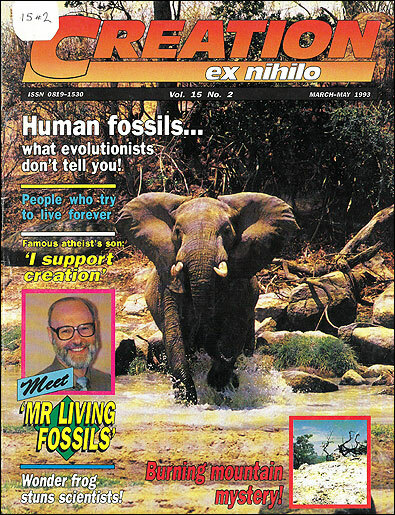 And this news report of the 19th century was 13 years before the first duck-billed dinosaur fossils were described. Correction: The sketch published in 1991 was not a reproduction of one published in 1845, which has been lost (it is missing from the archives), but was one done by a modern artist based on the 1845 description. This greatly decreases the value of this sketch as showing that the ‘bunyip’ was a dinosaur.